Join Us for the New Hospice Item Set Web Class! Experience a comprehensive one-day Hospice web class without the hassle of traveling. Learn to confidently teach, audit and report HIS items accurately during this live training. Gain familiarity with the measures involved in the Hospice Quality Reporting Program, and learn how the measures are calculated based on HIS data collection. Through guided instruction and participation in problem-solving scenarios, achieve mastery of the HIS items, guidance for item completion and resources available from CMS to support your ongoing accuracy. Learn from a source you can trust. Rather than provide opinions, assumptions, or unfounded interpretations, the OASIS Answers’ team will model reliance on CMS guidance documents as well as demonstrate and share strategies for how to find defendable answers to your HIS questions. This workshop is approved for 5.5 CE hours (nursing) and is co-provided by Home Care Institute, LLC. HCI is accredited as a provider of continuing nursing education by the American Nurses Credentialing Center's Commission on Accreditation. CE credits will be issued to web class participants who complete application requirements within one week of the live web class date. The CEs for this workshop apply to only one person - the registrant. If multiple people from an organization would like to participate in the training and get CEs and workbooks, they should purchase the "Agency Access" registration. Kathleen “Kathie” has been a registered nurse since 1983 and working in Hospice and Home Health since 1993. She has extensive hospice clinical, quality and leadership expertise. Kathie has been instrumental in developing, implementing, and improving clinical and operational processes for multiple community-based hospices. 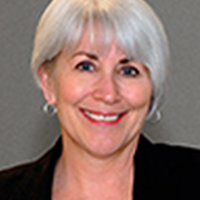 Her expertise includes providing guidance for hospice regulatory requirements, including licensure and accreditation. She is known as a champion for advancing quality of care for hospice patients and families and has been a leader in hospice initiatives within her local community, as well as at the state and national level. Kathie provides clinical and content expertise and management support to lead OAI'S CMS Hospice Quality Reporting Contract and the HIS/HQRP Help Desk. Kathie is Hospice Clinical Project Lead with OASIS Answers, Inc.
Dorene "Dodie" is an Adult-Gerontology Certified Nurse Practitioner with a Masters Degree in Nursing Administration. She has worked in clinical and administrative roles in hospice and home health, and has managed business development and physician alignment for oncology and surgical services in a multi-hospital system. She was a founding board member of the Hospice Nurse Certification exam, developing content and testing for construct and content reliability. Dodie provides content expertise and management support to the CMS Hospice Quality Reporting Program Contract and manages the Hospice Quality (HIS) Help Desk. 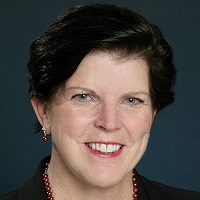 Dodie is a Senior Consultant with OASIS Answers, Inc.